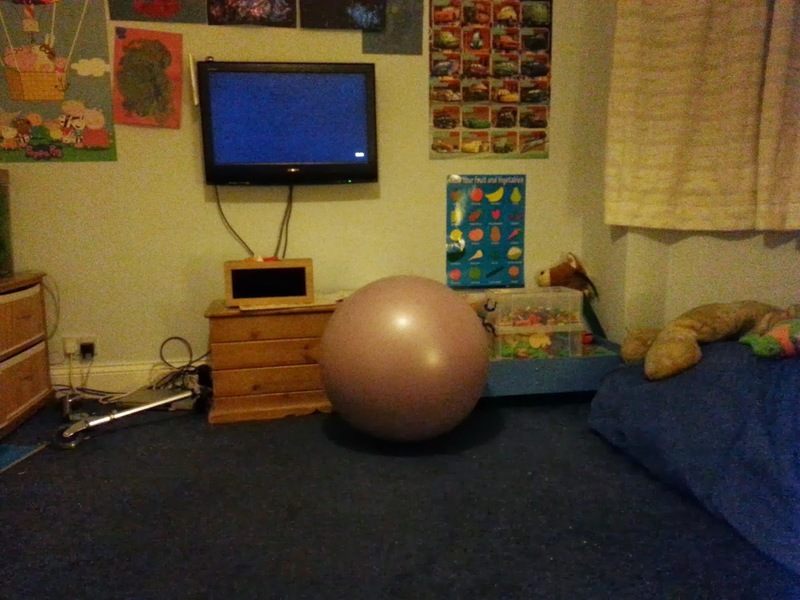 Here is a picture of my sons playroom - halfway through a tidy up. In the middle of the picture no doubt you'll see the purple ball. The purple ball we originally bought when my other half was pregnant, and it has basically hung around since then, acting as an emergency chair as well as just a huge ball to throw at people. But when you tidy up, it will not leave you alone. As you tidy up, you'll push the ball out of the way. It slowly rolls away, hits a wall or sofa or set of drawers or something, and rolls back. This vaguely irritates me, so I give it a slightly firmer push to get rid of it. And of course it rolls away a little faster, bounces a little quicker, and impacts upon me with slightly more force than before. My annoyance increases, and before long the ball is picked up and launched across the playroom - which isn't that large, and it will continue to bounce back into you with increased vigour. I've never snapped and tried to puncture the ball, which is probably for the best as these balls are reinforced somehow and I have visions of stabbing it, only for the knife to bounce off it and plant itself in a wall or carpet or face or something. I discovered a new career - Placenta Specialist! YouTuber Interview #4 - Scott Tumilty!! !